Tandem Server Systems | System Connections Inc.
Count on System Connections to provide and maintain fully tested NonStop S Series, NS Series, and NB series Tandem server systems, as well as HPE equipment, for your business. In addition to providing and maintaining these systems, we offer comprehensive, competitively-priced hardware maintenance, service, and administrative support for NonStop server environments. You can rely on us for maintenance of Tandem server computers to help you keep your data center online at full performance. 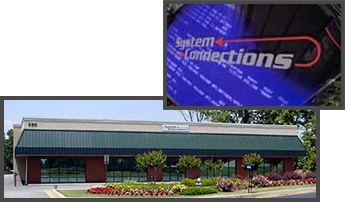 Since 1994, System Connections has delivered quality administrative support and solutions for data centers across the country. Today, we continue to deliver the same quality services, ensuring your network stays online so you have access to your data anywhere. Ensure the best performance from your Tandem servers with System Connections. Backed by more than 24 years of service and experience, System Connections focuses on providing quality services through field engineers that work across the country. We are one of only three companies in the United States that serve centers using Tandem server systems, and we provide the server computers, hardware, and ongoing maintenance and support as well. We're your one-stop solution for HP's NonStop Tandem servers, as well as the largest reseller of these systems. Thanks to competitive pricing, quality service, and ongoing maintenance, you can rest assured that your data is safe with our servers. Trust our field engineers, centralized dispatch, and complete spare parts inventory to ensure the best through up-to-date repairs and state-of-the-art testing facilities, along with a dedication to complete customer satisfaction. When it comes to protecting and maintaining your server computers, System Connections is the way to go for ongoing support. As a busy company, you need your computers to function smoothly because you can’t afford to wait hours for the issue to be fixed—it affects your production and causes your clients to lose faith in your business. When your business needs quick and efficient software support, your only choice should be Systems Connections, Inc. We offer the remote support you need to get your computer systems up and running again in as little time as possible. Depend on Systems Connection, Inc to solve your computer issues with our remote support services. When you hire us, you always have computer experts on your side, and you don’t have to pay the high costs of having your own on-site staff. Technology is always growing and developing, and you need to keep your systems up to date. Systems Connections, Inc, wants to ensure you can stay ahead of hackers and keep your business running smoothly and efficiently by offering software support services. We keep your computers updated with new products and software upgrades. All you need to do is make sure your computers are on, and permission is granted for our company to access your computers and network. Contact us for more information on the software support we offer. We proudly serve customers nationwide.